Usually, we infuse vodka, rum, or tequila, but we rarely infuse gin because it already has a lot of flavors. However, sometimes even gin could use a little flavor tweak. This easy infusion of apples and pears was inspired by a cocktail called the Early Autumn, which was created by Adam Schuman of Fatty Crab in New York City. 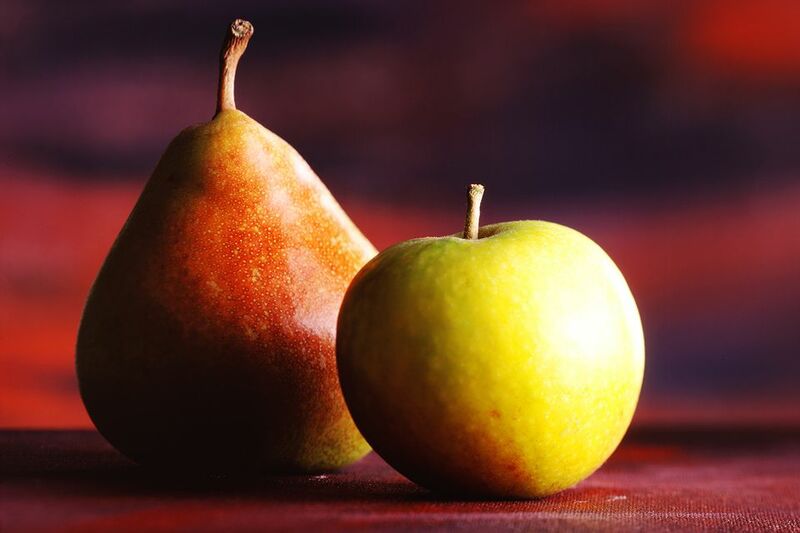 For this version, stick with Bombay Sapphire and add a fresh pear to compliment the dried pear. It is a brilliant idea for an infusion that adds a touch of fall flavors to a great gin and can be used to put a spin on many other gin cocktails. Remember to leave at least a week for infusion. Cut the pear and apples into slices. Place all pears and apples in the bottom of a clean mason jar or similar jar with a tight sealing lid. Pour the gin over the fruit and shake a few times. Seal the lid tight and store the jar in a cool, dark place for about 1 week. Test the flavor of the infusion daily. Once the flavor is to taste, you must strain the fruits from the gin. Wash the jar and return the flavored gin to it. Store as you do other liquors.